The performing arts are quite unique. They require both formal knowledge and skilled technique, both converging in pursuit of creation. 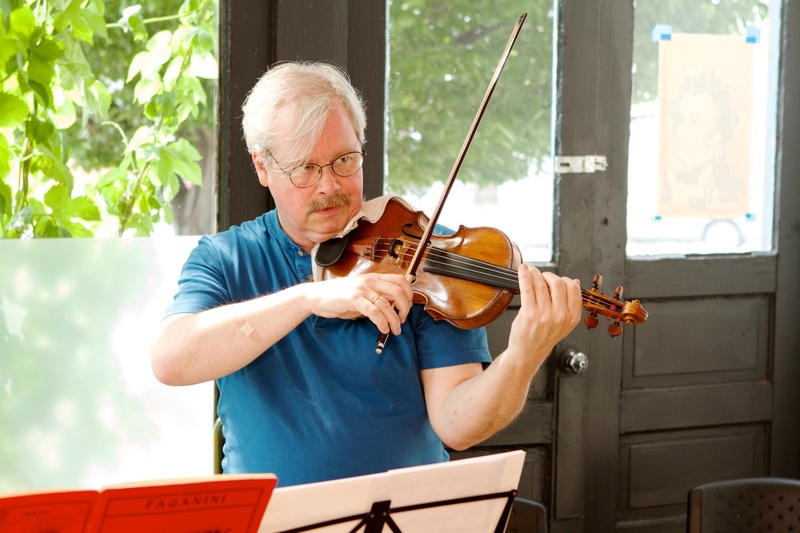 When it comes to learning to play the violin, some say that only all-in focus on theory and technical training will bring success. Others advocate for immersion in playing itself, “getting to the heart of the music”, keeping formality in the background. 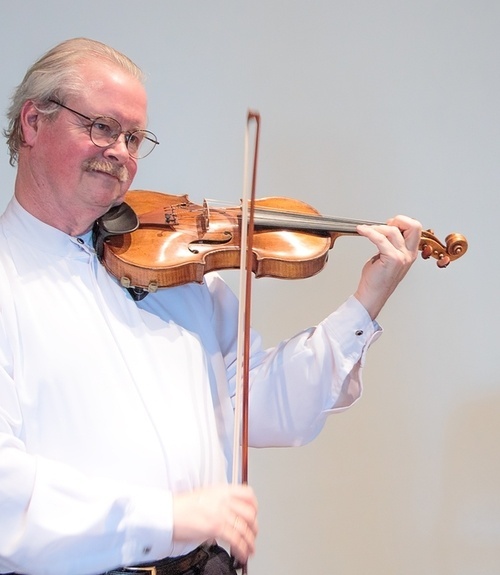 University of Michigan professor of violin Andrew Jennings, in his response to a blog post about the value of a music degree, provides a deeper perspective, well worth sharing again in advance of the upcoming graduation season. Whether you are a painter, a dancer, a poet, a composer or even a violist, you are a creator, for you can take very mundane objects (paper, clay, wood and/or your body) and create something that did not exist before. The notes on the page of our music are solid enough, but they are NOT music, for that is created in the mind and exists in the air for a brief time only. A CD or YouTube video has a certain physical dimension but neither IS the creation. A poet's words are concrete objects on a stanza but what they are about is the way they spark our imagination and make one see the world in a different way. In the arts we learn that what we can imagine, we can create. The task is daunting, let alone any idea of making a living doing it, and you need every bit of help you can get. Our society has evolved a very imperfect means of providing that help through lessons, coaching, competitions, and degrees at colleges and conservatories. The institutionalization of inspiration and discipline in these activities is at best a kind of "scatter-shot" approach and as we like to say about democracy - it is the worst form of government but better than any known alternative. It is easy and important to point out all the failings of music education in all its forms, but also important to realize that given the very human nature of the interaction between students, parents, teachers and professors we seem to be producing remarkable artists. Wouldn't it be a different world if our politicians and lawyers actually experienced the creative process and saw that whatever can be imagined can be created and that we are not forced to reduce everything to the lowest common denominator? 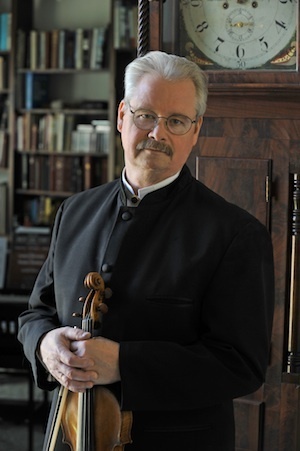 Andrew Jennings is professor of violin and chamber music at the University of Michigan School of Music, Theater and Dance. His principal teachers were Ivan Galamian, Alexander Schneider, Pamela Gearhart and Raphael Druian. He was a founding member of the Grammy-nominated Concord Quartet, premiering more than 50 compositions, as well as performing the standard repertory. Before arriving at Michigan, he taught at Dartmouth and Oberlin. His summers are devoted to chamber music instruction at the Tanglewood Music Center in Massachusetts, where he holds the Beatrice Proctor Master Teacher Chair. A passionate advocate of new music, Andrew Jennings can be heard here performing George Rochberg’s Caprice Variations for Solo Violin.